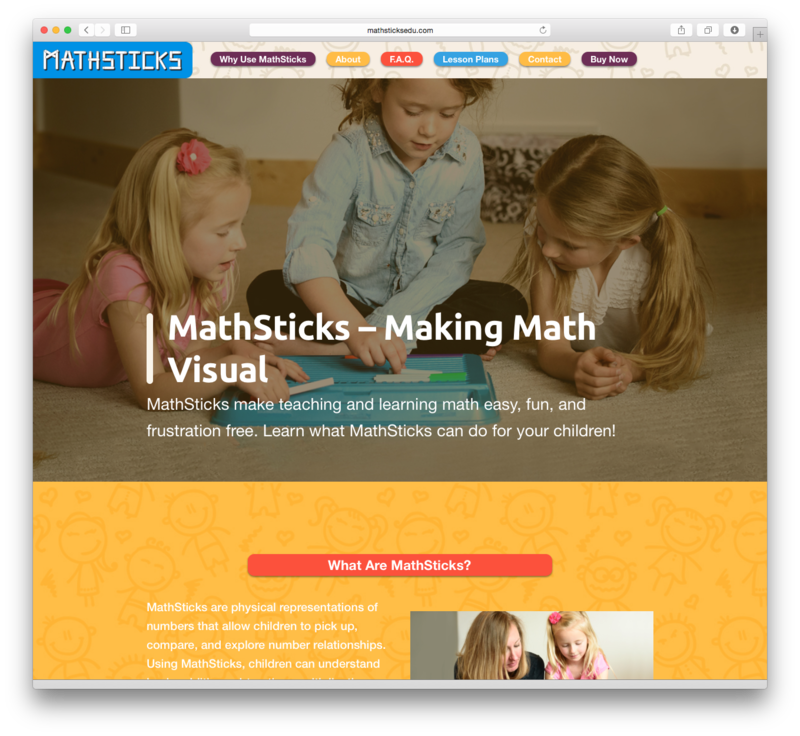 MathSticks USA was a really bright and colorful site build. 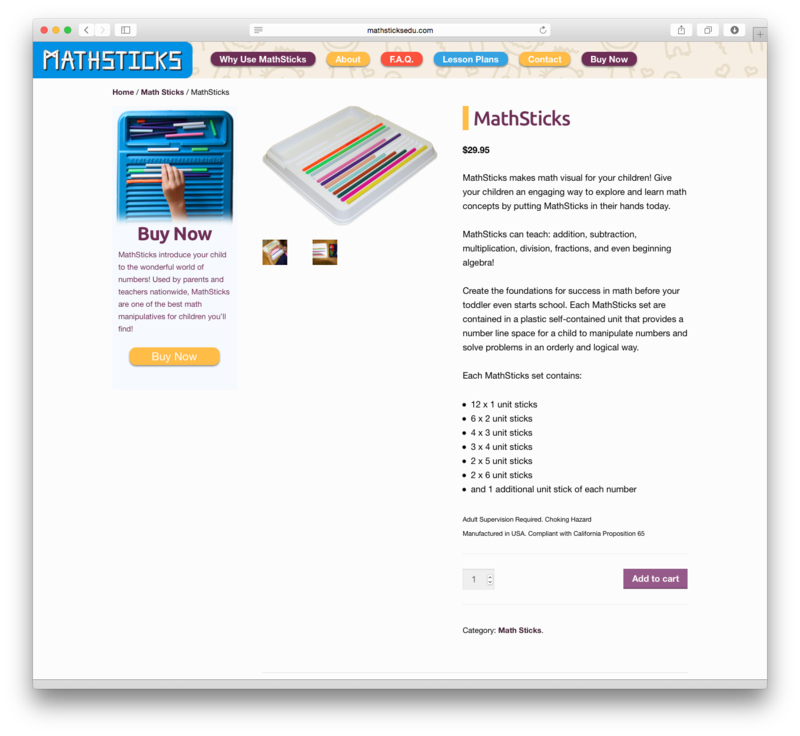 MathSticks are a set of number sticks that help children learn math visually. 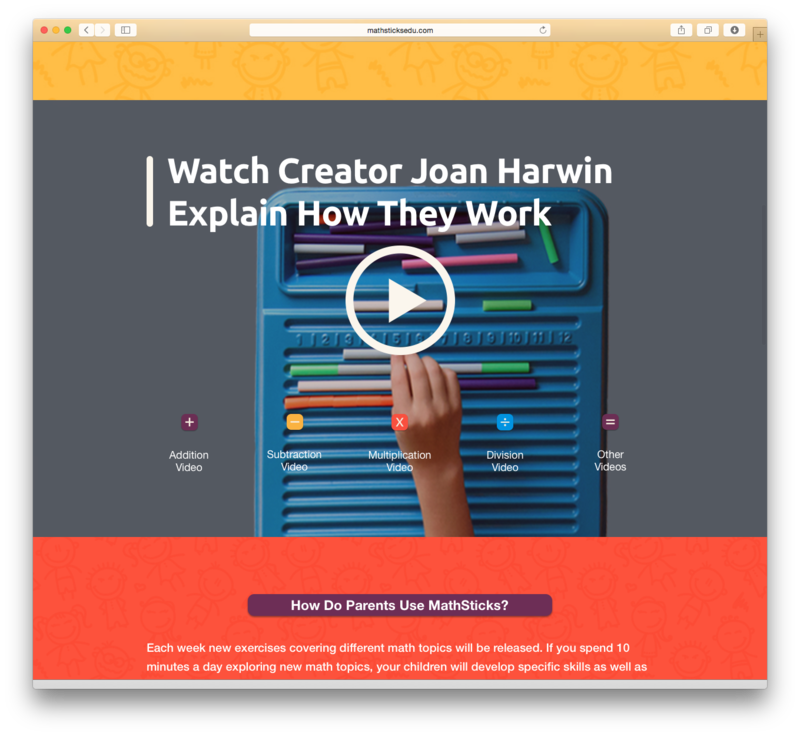 I got to build this site and worked more on the development side after a fellow coworker did the design. It has a woocommerce store running the ecommerce portion of the wordpress build.